Photo: The gear doesn‘t really grow on trees. Vaguely chicken-shaped Alor is the largest island in the Alor Archipelago. This is Indonesia at its rawest, and this island will appeal to independent travellers comfortable getting a little more off the beaten track. Home to the archipelago’s sole airport and the administrative capital Kalabahi, which doubles as the primary port, all roads (or boat routes) lead to Alor. There is plenty enough to keep visitors busy for a few days, be it lazing on the beach, snorkelling and diving, or visiting a traditional village or waterfall. Geographically, Alor sits at a crossroads. It’s set more or less north of West Timor; east of Pantar, Lembata and, in the distance, Flores; distantly south of Sulawesi and Maluku; and to the east Wetar and eventually Papua. Alor enjoys a rich diversity of people, with more than a dozen languages in use, many of them, like the people, having Papuan roots. Most Alorites, especially in the interior, are Protestants, while the sea-facing villages are more likely to have significant Muslim populations. You’ll see far more mosques by the sea, while churches and crucifixes dot the interior. Indicating trade ties far in the past, Alor is known for its Moko drums, large bronze kettle-drums that play a prized ceremonial role and frequently feature in dowry transactions. Believed to have their originals in the Dong Son culture of the Red River Delta in northern Vietnam, these drums may date back to 700-500 BC. While trade is the logical explanation for how the drums ended up in Alor, there is no physical evidence to support this (other than the drums being in Alor!). Kalabahi is home to the excellent Museum 1000 Moko, which has an outstanding collection. The headman at Takpala village also has a collection in his traditional house, which he may offer to show you if ask. While the history of the Moko drums is fascinating, the real drawcard of Alor are its diving and beaches. The Pantar Strait separates Alor from neighbouring Pantar to the east, and north to south the strait is dotted with a series of islands: Pulau Buaya (crocodile island), Ternate (not to be confused with the Ternate in Maluku), Kepa, Pura, and somewhat out to sea in the Ombai Strait, Pulau Tereweng. The Pantar Strait plunges to depths of over 1,000 metres and especially between Pura and Pantar, strong currents protect an amazing biodiversity and some extremely well-protected reefs. While not for beginners, the diving is considered to be extremely good and divers we spoke to with thousands of dives under their belt could not speak highly enough of the diving here. It’s world class. For non-divers there is plenty of impressive snorkelling opportunities, either by joining a dive boat as a snorkeller, or simply snorkelling off the beach. The west coast of Alor, from Alor Kecil north to Alor Bear and onwards to Sebanjar, offers extremely good snorkelling. Do watch the currents though; snorkelling alone is not recommended. If you’d rather just lay on the beach, Sebanjar and Kepa Island to the west and Batu Putih in the north are three of the standout strips of sand. Hirang, to the south of Kalabahi facing Pantar, and Ling’Al, on the south coast of Alor facing Timor, also both get good reviews, though we haven’t visited either in person (yet). Alor is well east of the Wallace Line and travellers to the interior, especially if they make the journey to Biantal Waterfall, will be struck by how Australian the interior appears. Red soil is spiked with eucalypts and scrubby undergrowth, so it’s easy to imagine yourself riding through the Outback rather than Eastern Indonesia (no kangaroos, though). The main town on Alor is Kalabahi, a long, skinny, sprawling south-facing town looking onto an excellent naturally sheltered harbour. Kalabahi has plenty of places to stay and a smattering of places to eat. There are international access ATMs (BNI) and 3G internet access is good. Some hotels, though not all, offer WiFi. The municipal hospital is on Jalan Dr Soetomo Kalabahi in the centre of town, the post office is opposite the hospital and the telephone centre a block north. The port is by the centre of town—look out for the gigantic trees. The airport is a 30-minute ojek ride from town. We used popular Marlon as a guide during our time on Alor. Contact him by email at marlon.adang@yahoo.co.id or phone on (085) 338 961 214. He charged us 200,000 rupiah per day.  Please sign up as a Travelfish member to download the Alor guide PDF (8.4 MB, 35 pages). Membership costs just A$35 per year (less than A$1 per week) and gives you access to over 250 PDF guides. Browse our independent reviews of places to stay in and around Alor. Read up on where to eat on Alor. 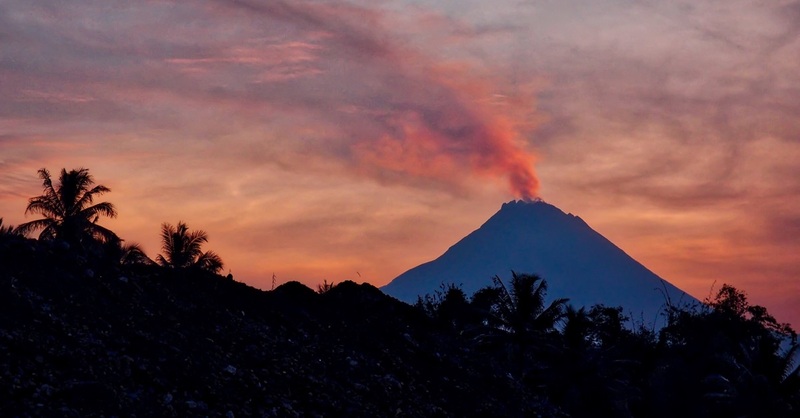 Check out our listings of things to do in and around Alor. Read up on how to get to Alor. Planning on riding a scooter in Alor? Please read this. Use the above map to find specific destinations in and around Alor which are listed on Travelfish. Bed icons indicate a guesthouse, hostel or hotel, the knife and fork is an eatery or bar and the four-way circular thingy marks sights, attractions and other points of interest. Click on any icon for a short pop-up and a direct link to the page for that spot. If you are in the area, use the teardrop icon near the top left to show your position on the map (you'll need to allow position sharing for this last feature to work).